The Breakfast of Champions Kept Champion Ski Jumper Alf Engen From Competing. 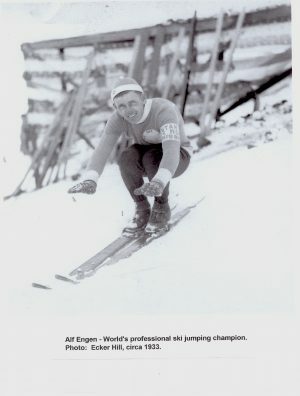 Legendary extreme athlete Alf Engen, known as the greatest all-around skier ever, was a champion soccer player, skier and ski jumper. 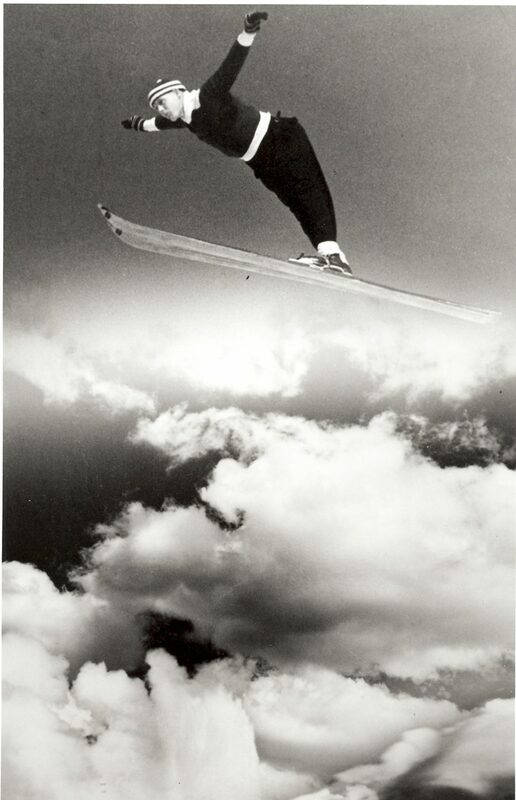 During the 1930s, he set ski jumping world records. He helped design and establish more than 30 ski areas in the western United States. And he’s fondly remembered for pioneering deep powder skiing techniques and for his ski school at Alta. But world champion Alf Engen was banned from competing in the 1936 Olympics because of a Wheaties breakfast cereal box. It was just the fourth time that countries faced off against each other in wintertime Olympics. Competition included just four sports: bobsleigh, ice hockey, skating, and skiing. Twenty eight countries sent their best athletes to the IV Olympic Winter Games. As background, Engen came from Norway to the United States in the 1920s, and he played professional soccer. By the 1930s, he was acclaimed for his ski jumping feats, he joined a ski jumping team, and he soon won 16 national ski jumping titles. And his jumps set world records. 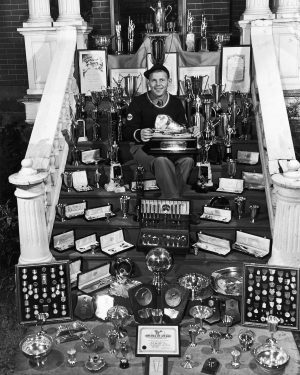 He also won national titles in all four ski disciplines: ski jumping, cross country, downhill, and slalom skiing. But another form of mass media was taking hold: cereal boxes. Until then, breakfast cereal had to be cooked, but when food manufacturers invented cereal that could be eaten right from the box, they faced a marketing dilemma. How could they convince families to switch from cooked cereal to this newfangled ready-to-eat cereal? A cereal box sitting on the breakfast table with pictures of all-star athletes would be the marketing device. And unlike radio, the images were right there on the box. 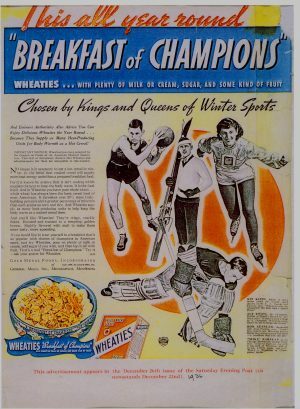 Four athletes appeared on the Wheaties box—Bob Kessler, basketball star; Mike Karakas, champion hockey player with the Chicago Blackhawks; women’s speed skating champion Kit Klein; and famed skier Alf Engen. Meanwhile, Engen became an American citizen. In 1935, at the U. S. Olympic Ski Jumping Finals held at classic Ecker Hill, he out-jumped everyone. He was immediately named as a member of the U.S. Winter Olympic Ski Jumping Team which would compete in the 1936 Winter Games in Garmisch-Partenkirchen, Germany. But just before he was scheduled to leave, Avery Brundage, president of the International Olympic Committee and a zealous supporter of amateurism, ousted Engen from the team because his picture had appeared on the Wheaties box. He declared that Engen’s image on the cereal box made him a professional, not an amateur athlete. Ironically, shortly after the Olympics, Engen jumped against—and he beat—both the gold and silver medalists from the Olympic Games, Norwegian gold medalist Birger Ruud and Swedish silver medalist Sven Eriksson. The remarkable skiing Engen family is the only family to have four family member in the U.S. Ski and Snowboard Hall of Fame: Alf, his two brothers Sverre and Corey, and his son Alan. Alan lives on in his father’s tradition. 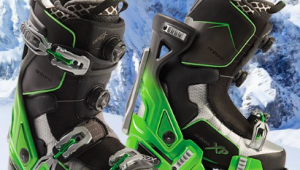 He’s a champion skier and athlete as well as an accomplished scholar, author, and historian. He carries on the Engen tradition of serving the skiing community. 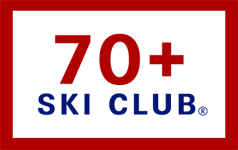 Alan dreamed of displaying hundreds of Alf’s ski trophies and memorabilia for the public. The dream grew into the $10.5 million Alf Engen Ski Museum at the Olympic Park in Park City, Utah. Visitors can also learn about avalanches, sit in a real bobsled, try their knack at interactive ski jumping, and more. The museum was funded entirely by private donations, including donations from Utah’s famed and philanthropic Quinney and Eccles families. Visit and enjoy the museum when you’re in Utah. To read more from Harriet, click here for her stories on SkiUtah. Was Alf Engen in the 10th Mountain Division during WWII?